← Kentucky. February 12th, 2014. 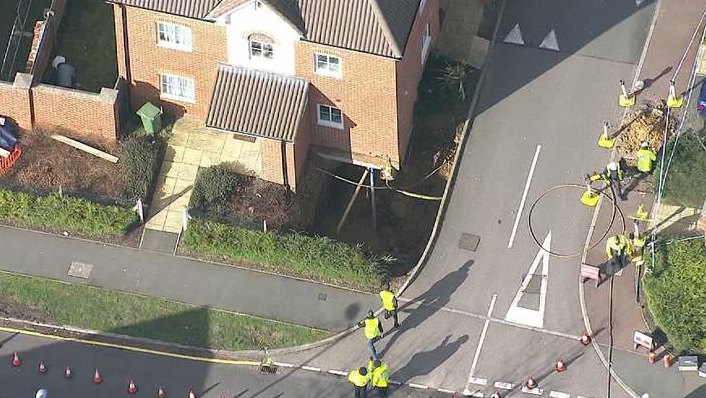 The wet weather in England has taken it’s toll..
More than a dozen homes have been evacuated after a 35ft-wide sinkhole opened up in a street. 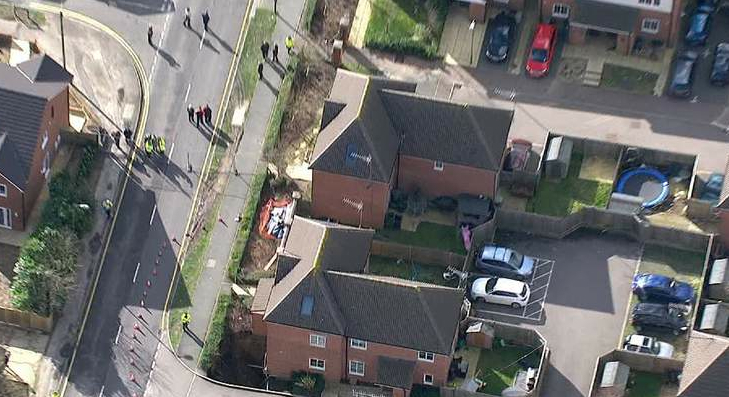 Police say they have evacuated 17 properties at the site in Oatridge Gardens in Hemel Hempstead, Hertfordshire. 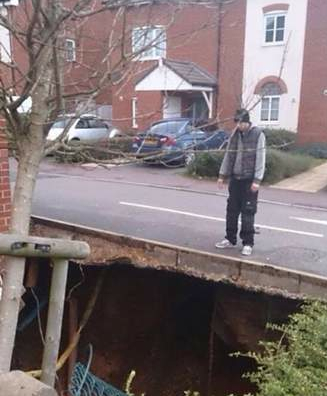 They said they received a report at 7.30am to say the sinkhole had opened up. Sky News reporter Siobhan Robbins says residents reported feeling the ground shake overnight. 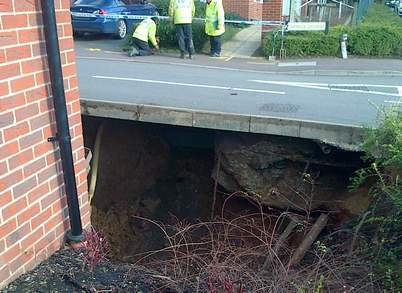 It is believed the sinkhole opened up at about 6am. 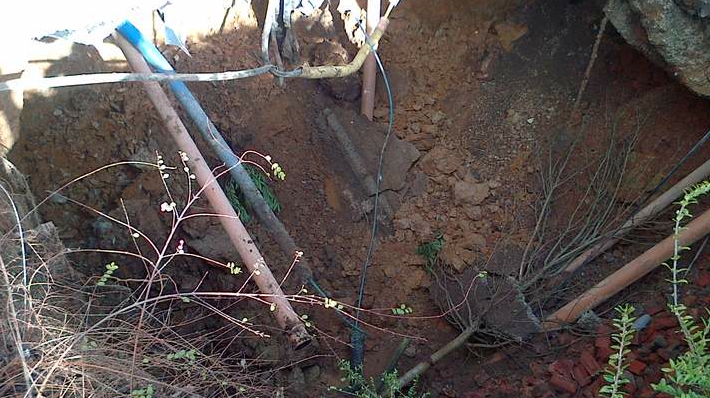 The emergency services are still trying to cut off the gas and the electricity to homes around the site. The road and several other surrounding roads have been closed. 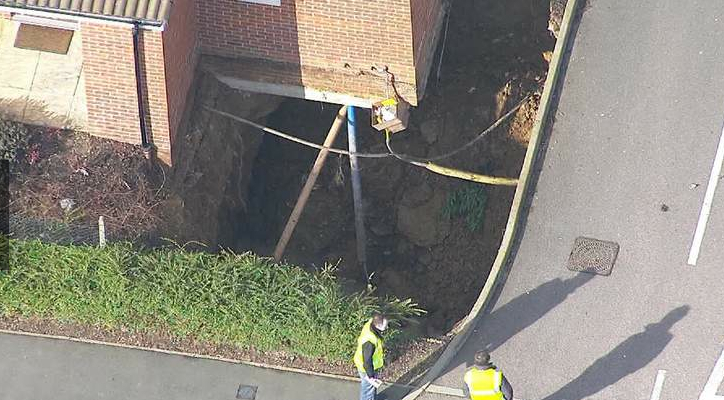 In a separate incident on Wednesday a 15ft-deep sinkhole closed the M2 motorway near Sittingbourne in Kent. 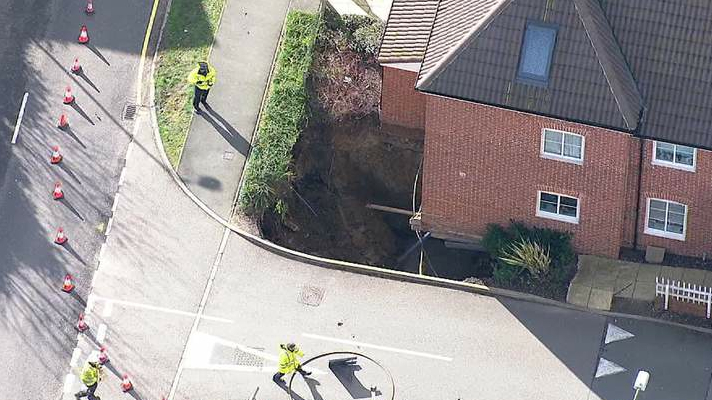 Earlier this month, a sinkhole measuring 30ft-deep swallowed a car after opening on the driveway of a house in High Wycombe. Experts claim the wet weather of recent weeks could be to blame. Britain has been battered by weeks of severe weather, causing major disruption to road and rail travel. This entry was posted in Pictures, Structure v Sinkhole, Videos and tagged Hemel Hempstead, sinkhole, UK, wet weather in England. Bookmark the permalink. 1 Response to Hemel Hempstead, United Kingdom. February 17th, 2014.